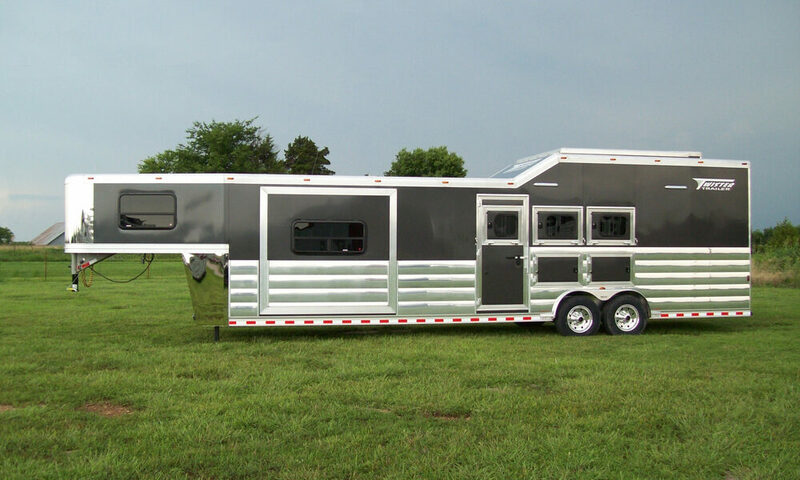 Twister’s Select trailer is our production Living Quarter model built like a Custom with a standard LQ package of 10’4″, 12’8″, & 12’8″ with electric slide. Each Select model is built with a high-quality LQ package and all the features and amenities that you have come to expect from Twister, along with a great value. 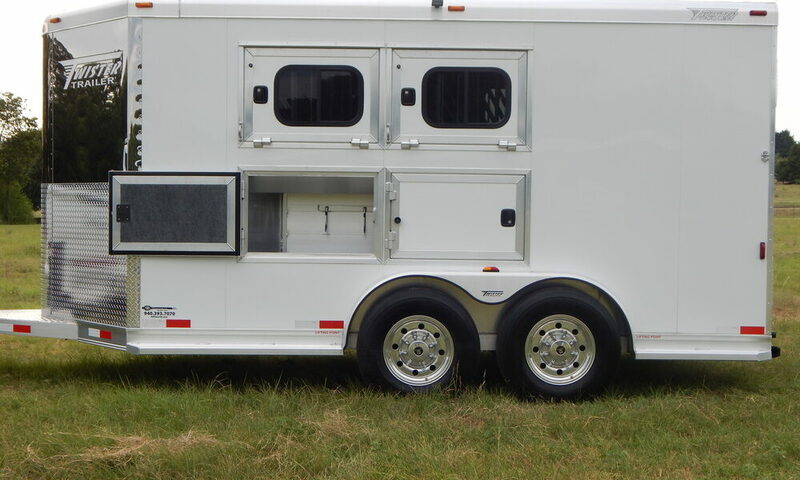 Our Select trailer features a spacious and versatile horse area, along with a roomy living quarters area with a sleeper/sofa, tons of storage, and a fully functional kitchen and bathroom. 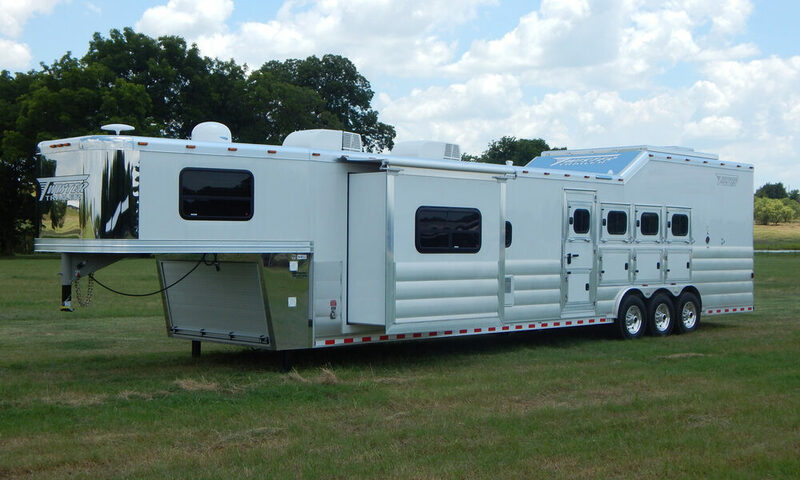 No matter what your Select trailer needs are, Twister can build it for you. 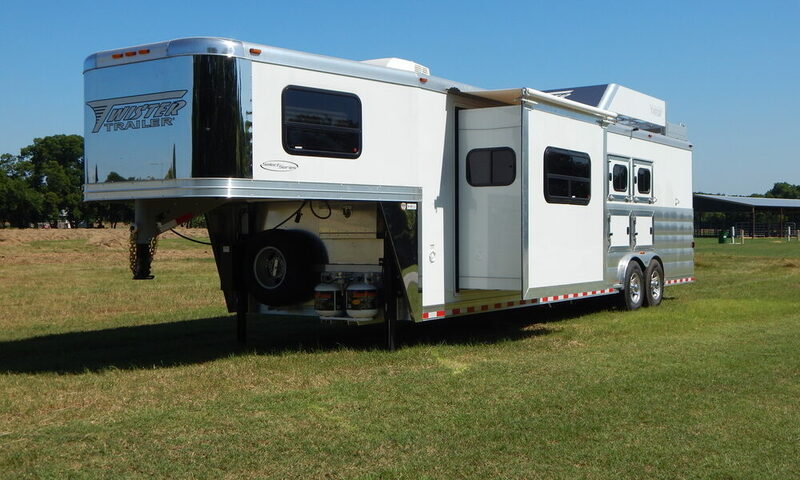 CUSTOM TRAILERS DESIGNED AND BUILT ESPECIALLY FOR YOU!